The things you can’t miss in Rotorua! Not many people come to New Zealand without visiting Rotorua. Action, relaxation, culture, nature… It has it all in this geothermal hot spot in the centre of the North Island. With a rich cultural history, it will come as no surprise that experiencing the Moari culture is also a must-do in Rotorua. So to make your travel itinerary planning a little easier, check out this list of Rotorua must-dos below! While there’s so much to do in Rotorua, just take a look at these 20 Awesome Places to Visit in Rotorua, we’ve made sure to narrow down your options to just 10 Rotorua must dos for those of you with limited time/budget. 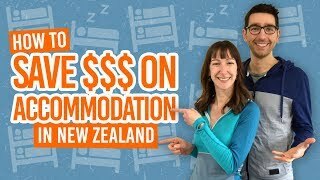 If you do plan on staying a while though, check out these Rotorua hostels and Rotorua budget accommodation to keep the costs low! As cliche as it sounds, Rotorua really is a hotbed for geothermal activity in New Zealand. Colourful pools, silica terraces, steamy lakes, geysers and more can be found in various different locations in Rotorua. For vibrant colourful and steamy lakes, visit Wai-O-Tapu, while Te Puia has the largest and most impressive geyser in the area. Otherwise, there are plenty of free geothermal attractions for your dose of steamy lakes and bubbling mud, such as Kuirau Park and the bubbling mud pools just outside of Wai-O-Tapu. For more ideas, take a look at 5 Insane Geothermal Parks in New Zealand You Won’t Believe Exist. Location: Wai-O-Tapu is 53km from Rotorua along State Highway 5. Te Puia is on Hemo Road in Rotorua. Kuirau Park is in Rotorua city centre. On the subject of geothermal activity, Rotorua is the place to be for unwinding in a naturally heated hot pool. Choose from the convenience of the Polynesian Spa in Rotorua city centre overlooking Lake Rotorua or the super affordable Waikite Valley Thermal Pools nestled in native bush. For those of you feeling more adventurous, seek out the free natural hot pools spots like Kerosene Creek or the Wai-O-Tapu “secret spot”. We list those ones for you in 5 Free Natural Hot Pools in Rotorua. Location: Polynesion Spa is Hinemoa Street, Rotorua. Waikite Valley is 30 minutes from Rotorua on the Waikite Valley turn-off on State Highway 5. Location: Zorb, Western Road, Rotorua or Ogo, 525 Ngongotaha Road, Fairy Springs, Rotorua. Luging is another ridiculously fun sport in Rotorua, but this one is definitely for those who want to get competitive with their mates. Hop in a downhill go-kart with controls only to turn, brake and let gravity do its thing! There are three awesome tracks at Skyline Rotorua blasting through the redwood forest complete with twists, turns and tunnels. Book your Skyline Rotorua & Luge Rides here. Location: 178 Fairy Springs Road, Rotorua. Rotorua is the hub for travellers to the experience the culture of the first settlers in New Zealand, the Maori. Watch captivating cultural performances of The Haka, indulge in a traditional Maori meals called a Hangi and learn about this fascinating Polynesian culture first-hand. All the Maori experiences have different draw-cards, such as the evening tours with a welcoming ceremony, Maori village, performances and a Hangi at Tamaki Maori Village, or a mix of Maori traditions and geothermal parks at Te Puia and Hells Gate. For more options, head on over to our 13 Places to Experience Maori Culture in New Zealand. New Zealand has a great deal of unique bird species and one of the best places to see some of these rare birds is at Wingspan, the National Bird of Prey Centre. Visit the aviary of these birds in rehabilitation close-up, such as the New Zealand falcon and the dwarf owl called a morepork or ruru in Maori. Arrive at Wingspan for around 2pm and you can even watch the New Zealand falcon’s daily flight displays. For more wildlife encounters, visit the Kiwi House at Rainbow Springs. A behind the scenes tour will give you the chance to see young kiwi birds before they are released into the wild as part of a conservation breeding program. 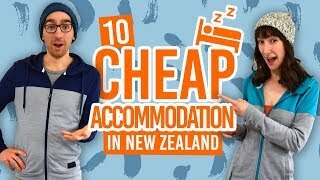 A day pass to Rainbow Springs will also give you the opportunity to see more New Zealand native wildlife as well as lots and lots of rainbow trout. Ever wanted to wander around the crater of a volcano? Do just that on Mt Tarawera! This mountain has a hugely significant history in New Zealand with a huge eruption that occurred in 1886 shaping the whole landscape around it. This mountain is only accessible with a guided tour, but with vibrant red volcanic landscape, a scree slope run and breathtaking photo opportunities, this walk even rivals the famous Tongariro Crossing. Location: Kaitiaki Adventures run walking tours on the mountain. They do pick-ups in Rotorua. Alternatively, land on Mt Tarawera on a helicopter tour with Volcanic Air. 9. Raft down the world’s highest commercially rafted waterfall! That’s right, if you have that go big or go home mantra then white water rafting the Kaituna River is a must! The biggest feature of the river is a 7m waterfall, the highest commercially rafted waterfall in New Zealand! Location: Rafting trips can be done with River Rats Rafting, Kaituna Cascades and Kaitiaki Adventures..
Ok, so New Zealand has a lot of forests but for a forest experience unlike any other in New Zealand, check out the Redwoods Forest. Also known as Whakarewarewa Forest, The Redwoods is a mix of native a exotic forest with tracks that can be experienced by bike or foot. Check out panoramic viewpoints, bubbling mud pools, lakes and even a treetop walkway for a different perspective. The Treewalk is also doable at night so some stunning light displays.